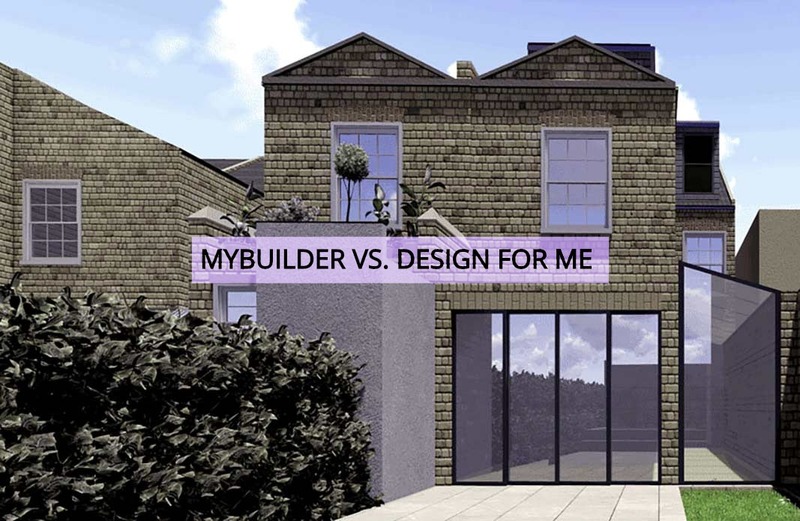 Home > News > Should You Go To Mybuilder Or Designfor-Me For Your House Extension? When you think of a house extension project, the first thought that comes to your mind is how to find the right professional for the job. It is a challenge that every homeowner has to overcome to achieve their desired goals with the extension. As the application of the Internet becomes more and more prevalent in finding information, there is increased popularity of online services like MyBuilder and Designfor-me in finding the required professionals. 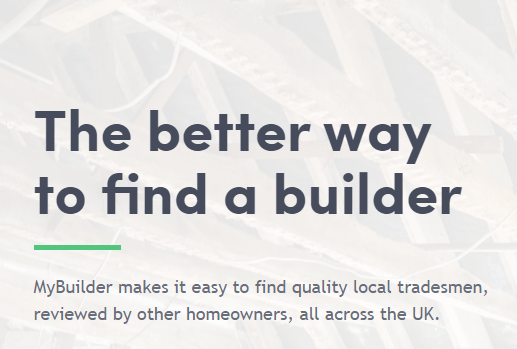 MyBuilder is a trusted online marketplace that helps consumers, tradesmen, and builders find each other. It provides an open platform to make it easy for homeowners to find the right professional after reviewing their past work and qualifications. Designfor-me is also a similar platform that has been developed to bring homeowners, builders, designers, architects, and tradesmen together. Whilst there are many similarities between the two platforms, this one has been designed keeping in mind the challenges faced by new practitioners to build their portfolio and reputation. The platform also provides information about memberships and insurance of the builders. You can check whether they are Master Builders, and members of RECI, FAS or other reputed associations. Designfor-me also has a similar usability structure. You can post your project details along with location, project requirements, and estimated budget. The platform will match your project requirements with the builders. It shortlists your favourite builders or tradesmen for the extension and enables a meeting with up to 3. You can then get quotes from them and select the favourite. You can then enter your basic details such as first and last name, phone number, username, and email to create your account. Designfor-me makes it even simpler by allowing you to sign-up straight with your First and Last name, email address, and password. It also asks how you found the website. Once you sign-up, you can post a project with details. MyBuilder makes it free for homeowners to post their projects. So their services are available for free, allowing you to find trusted and qualified builders without having to spend anything. It charges a small fee from the tradesman or builder when they find a client on the platform. Free Plan: Check the best matches meeting your project requirements. Shortlist extension experts and draw their attention. Select 3 interested builders to meet them. Personal Assistance: This plan costs £35 and provides one-on-one expert assistance. The Designfor-me team will write the brief for you to draw attention from the matching builders. It sends out the project to all its members matching the job description. This plan is backed up with a money-back guarantee. If you can’t find someone for your house extension project, the website refunds your money. Both the platforms have been designed with the goals to overcome consumer challenges. And both have a few additional features to provide valuable information to the consumer. For example, both have dedicated and up-to-date blogs that provide relevant and useful information. 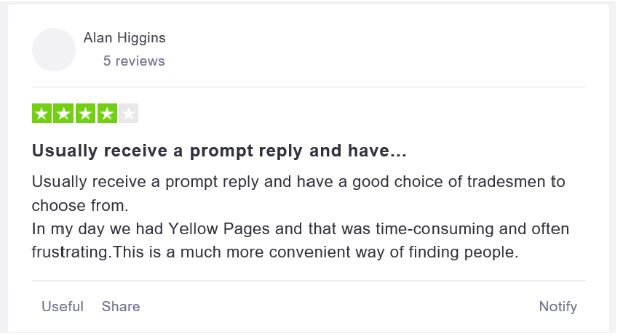 MyBuilder keeps its blog fresh with posts touching on all kinds of topics. The subjects go beyond house extension, as the platform allows you to find all types of professionals and builders ranging from Architectural Designers to Electricians to Tree Surgeons and everyone in between. So you can find blog posts covering all kinds of topics. Designfor-me also addresses the same goals and has an up-to-date blog with information on the latest trend, guides, featured projects worth checking, and much more covering all the different categories of work. This platform does offer a premium feature of Personal Assistance for consumers. As already mentioned, you can get professional help in finding the right builder or tradesman for your job. MyBuilder doesn’t have an equivalent paid service for the consumer. MyBuilder has been in the market for more than a decade. Designfor-me, on the other hand, is around 5 years old. So both these brands have been on the market for a decent amount of time and have become trusted brands. 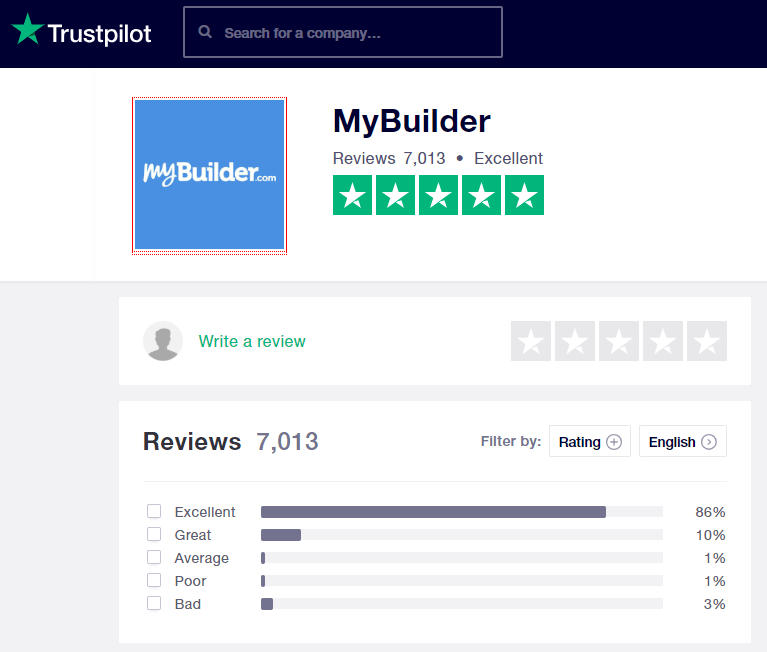 MyBuilder has an average 9.2 out of 10 rating on Trustpilot, with over 7,000 reviews. This apparently speaks volumes about the trust and reputation it has built over the years. 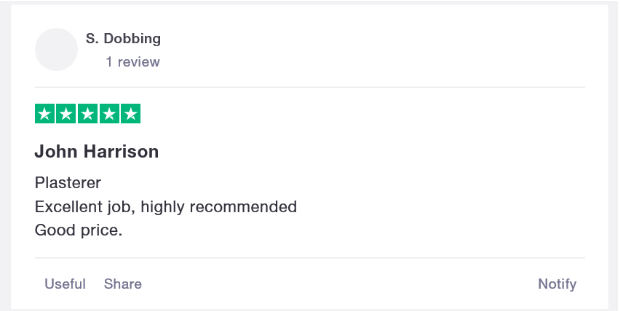 Comparatively, Designfor-me has yet to build a large base of reviews from its clients. What is the history of both? MyBuilder was founded in 2006 by Ryan Notz, a roofer and stonemason from Bristol. After having years of experience, he realised the need amongst consumers for a simple and quick way to find trusted builders. The company claims to have already served hundreds of thousands of homeowners within a span of 13 years. It has also helped thousands of builders and tradesmen in the country to find regular work by reaching their targeted audience. Designfor-Me is the brainchild of Emily Barnes, who is a qualified architect. She came up with the idea of finding the company after having specialised in residential architecture for many years. According to the founder, she noticed that most homeowners don’t have an idea how and where to search for the right designers, architects, tradesmen, and builders. The platform not only overcomes this dilemma, but it also helps break the misconception that finding such professionals is an expensive affair. MyBuilder funded Seedcamp 2007. Seedcamp is a seed fund that finds and invests in founders who can solve problems with technology. The fund has investments in over 260 start-ups that include some of the fastest growing companies in Europe. Both these platforms were created with similar goals and they have been delivering to them successfully. Whilst MyBuilder is an older brand, Designfor-me has a more modern approach to address the challenges faced by both consumers and tradesmen. The sign-up process and the matchmaking process work almost similarly, but MyBuilder presents itself as a completely free platform for the consumer. Designfor-me provides both free and paid options, but when you pay them you are certainly getting professional assistance in finding the right professionals for your home extension project.